Some people say that in life you should follow your heart, but we say that when traveling, definitely go with your gut. 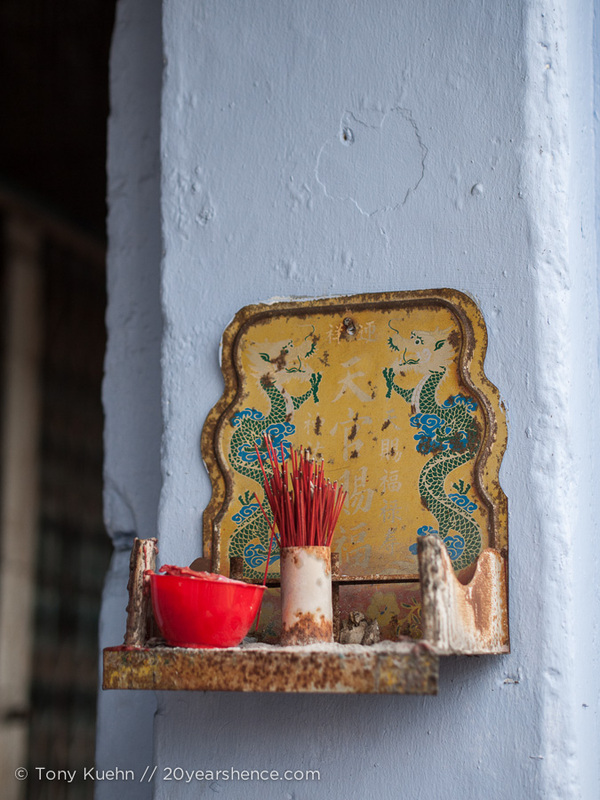 It is primarily in the pursuit of food that our first stop in Malaysia winds up being the sleepy town of Muar. Our first impressions of the town are, quite honestly, not great. Based on the rhapsodic praise in our not-so-trusty Lonely Planet, we have arrived expecting a town that not only knows how to eat but one that is also “languorously Malaysian in mood and with the feel of a bustling Chinatown.” Instead, we find a city with lethal traffic, but whose streets are otherwise largely deserted; stepping off the main drag, the vibe that greets us is just a hair more lively than somnambulant. I don’t think tumbleweed is indigenous to Malaysia, but rest assured that if it were, it would be completely at home blowing through Muar’s streets. 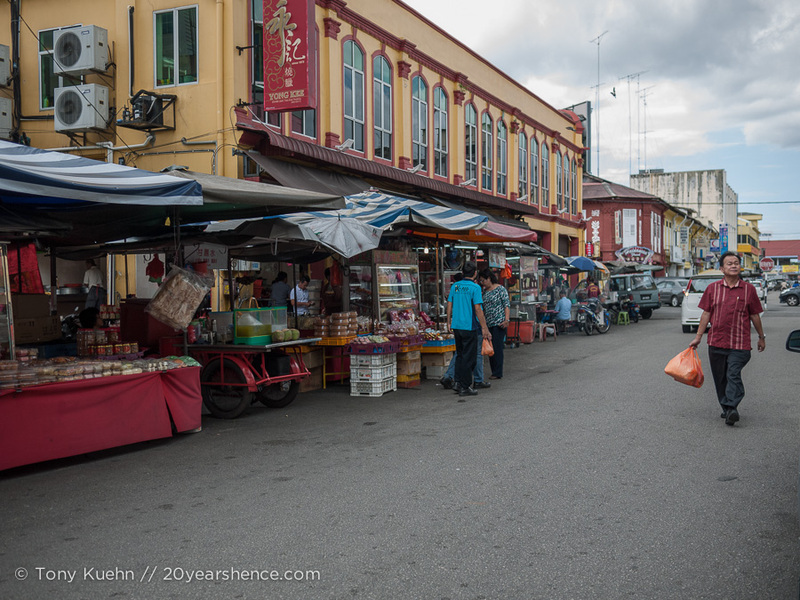 Muar is not an especially large city and is easily navigable on foot (provided you aren’t crossing the street! 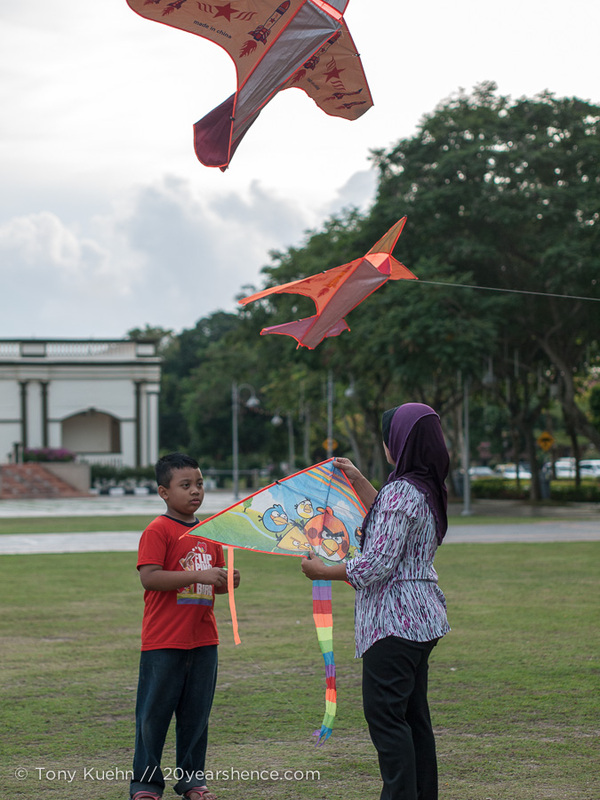 ), but a two-hour meander through its streets and along its riverfront down to the main public park, although pleasant enough, shows us pretty much everything that Muar has to entice a visitor. The city is not especially pretty, nor does it exude any particular charm; if our walk is an accurate reflection of the town, then despite Lonely Planet’s claims, it is more dull than it is interesting. 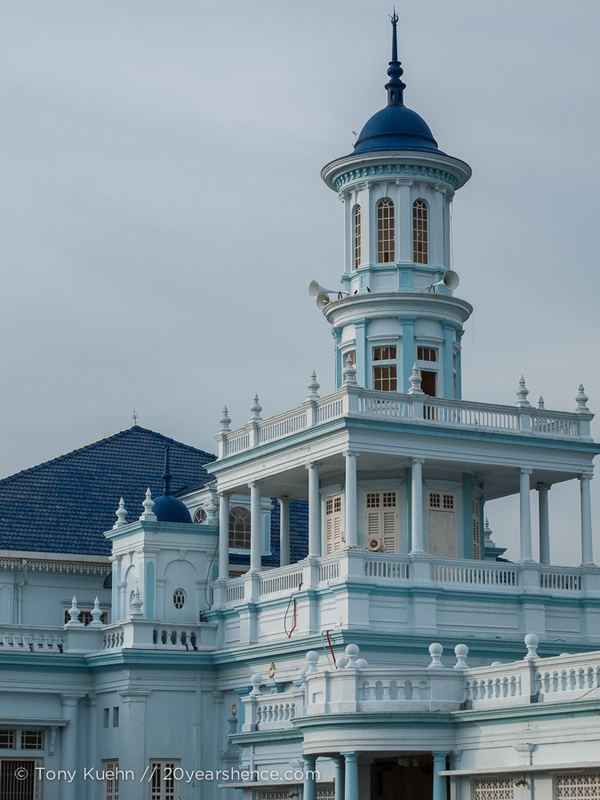 Muar is just one of those places that is probably pleasant enough for its long-term residents, but as short-term visitors, it feels mundane and we don’t find many attractions to tempt us into extending our stay. Unless you consider food an attraction, which we obviously do. 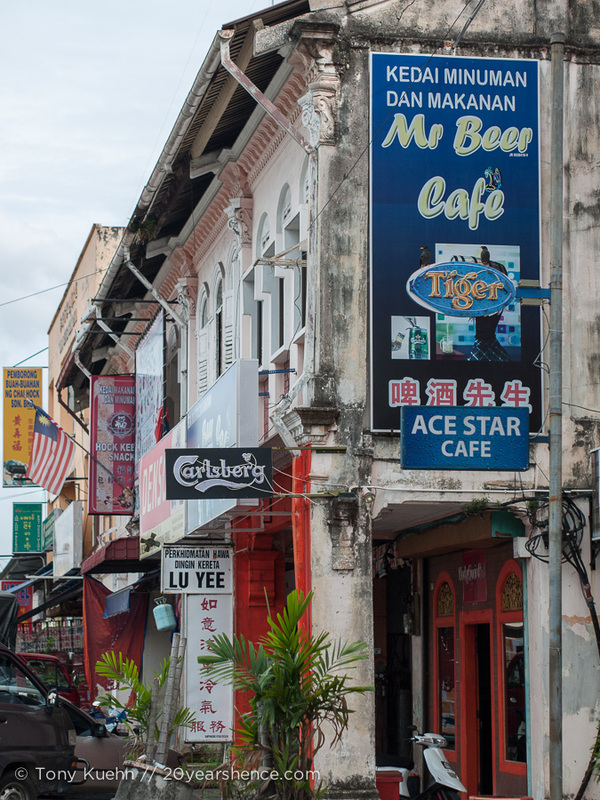 The real reason we decided to spend some time in Muar is because the town has gained quite a reputation domestically for being something of a food mecca. 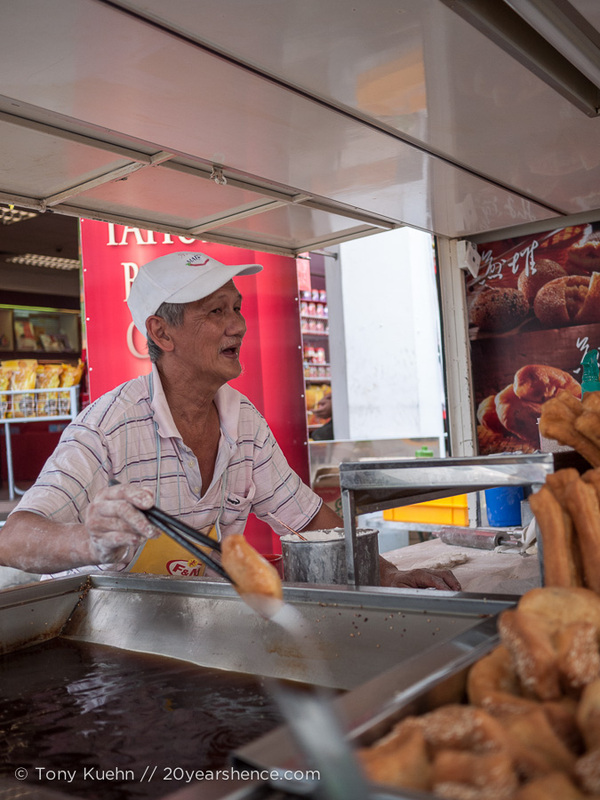 Whereas Penang has gained global prominence for its cuisine, Malays in the know reportedly travel here for profligate food-filled benders. When a city has an area called “Glutton Street” (surefire Steph & Tony catnip! ), you know things are serious! Even if everything else in Muar were a dud, surely this would make our trip to Muar worthwhile. It does and it doesn’t. Arriving early in the evening, most of the stalls lining Glutton Street are closed up tight and the few remaining mobile stands are packing up for the day, dashing all dreams of feasting so decadently that we’d have to roll ourselves home. Never ones to give up easily, we return at midday the following day and have a bit more success: At least the vendors are open and operating this time. However, for a street with “glutton” in the title, we both expect there to be a lot more of a selection—rather than a street, this is more like an alley that you can walk down and back in under a minute. In that respect, we are disappointed, but Glutton Street does deliver on all other fronts: everything is affordably priced and, even more importantly, all of it is completely delicious. 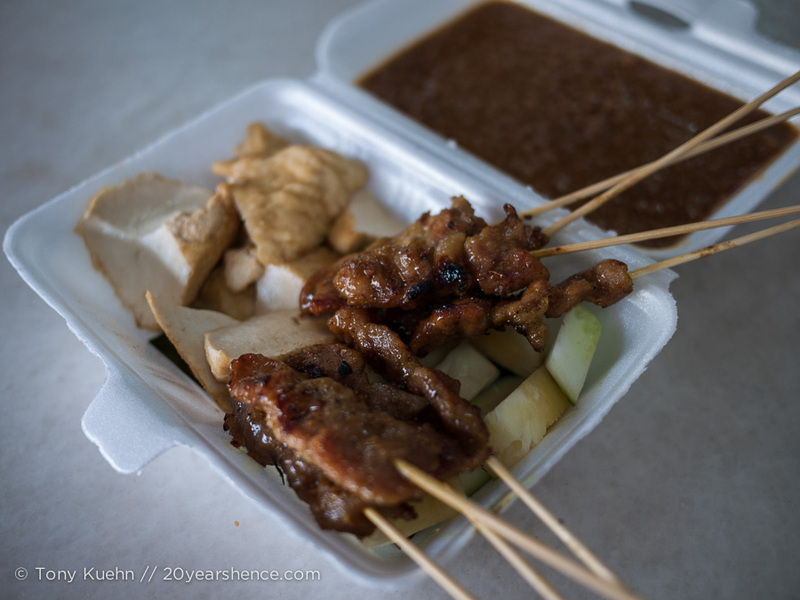 We thought Singapore had ruined us for satay, but the skewers of juicy, fragrant grilled meat that we enjoy here are even better (and at 20¢/skewer, far cheaper). 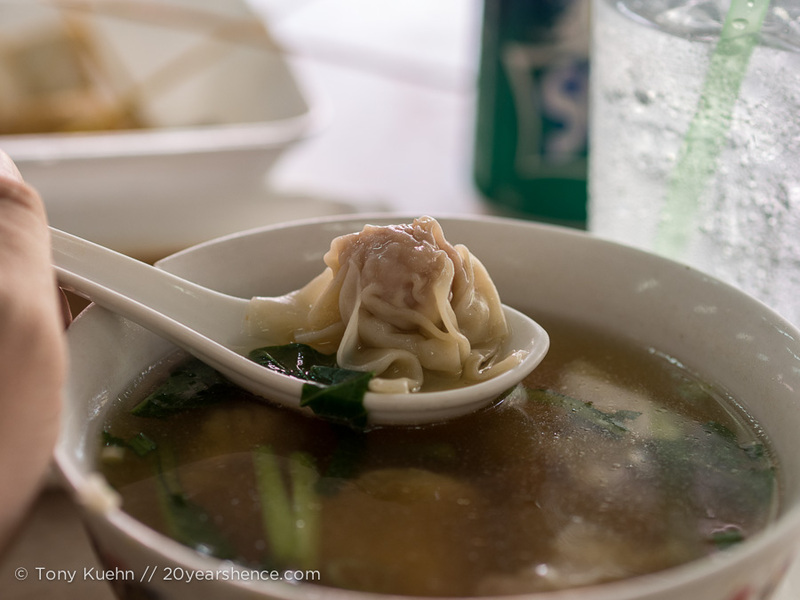 Add in a steaming bowl of soup in which tender pork-stuffed wontons bobbed, and another bowl of thin noodles topped with sweet slices of barbecued pork and for just $4, we eat incredibly well. Muar may only really offer one thing, but it does that one thing like a boss. We don’t have one bad meal during our entire visit. 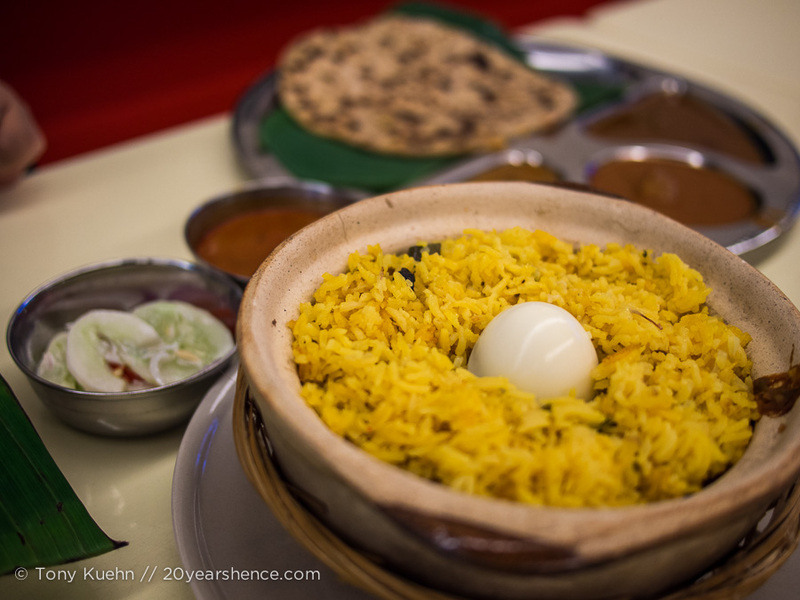 At Banana Leaf—an Indian restaurant run by an immigrant from Rajasthan province—we gorge ourselves on a richly spiced chicken biryani (complete with a hard-boiled egg surprise! 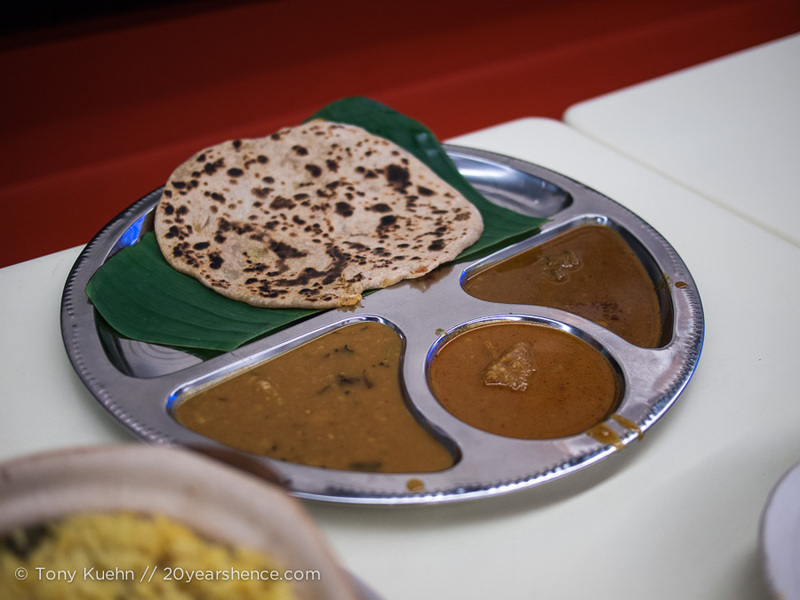 ), a bowl of braised mutton in a curried gravy, and an order of roti canai, a buttery flatbread served alongside several different sauces meant for dipping but good enough to slurp from a spoon. 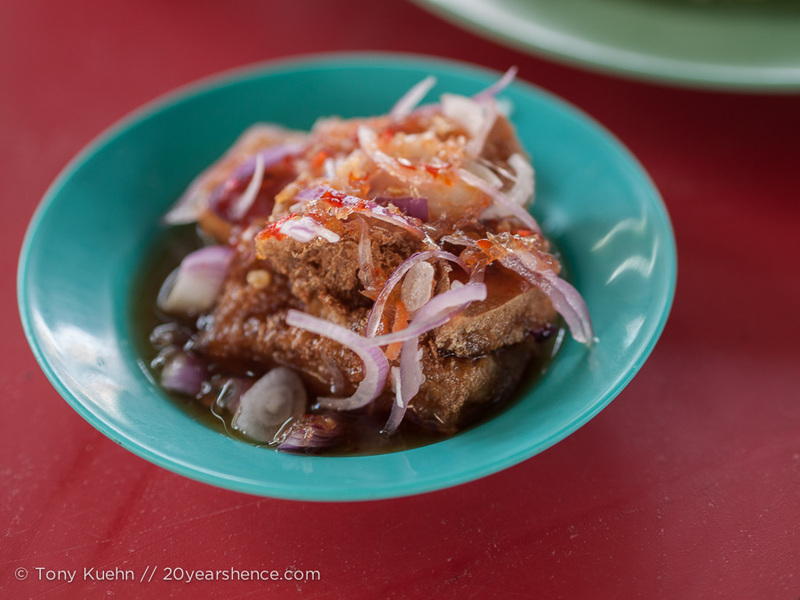 At an open-air food market just a few blocks from our hotel, we dig into crispy fried squares of tofu drizzled with a sweet and sour syrup and a plate of chicken rice (Bonus: Unlike the version in Singapore, the chicken here is actually warm!). 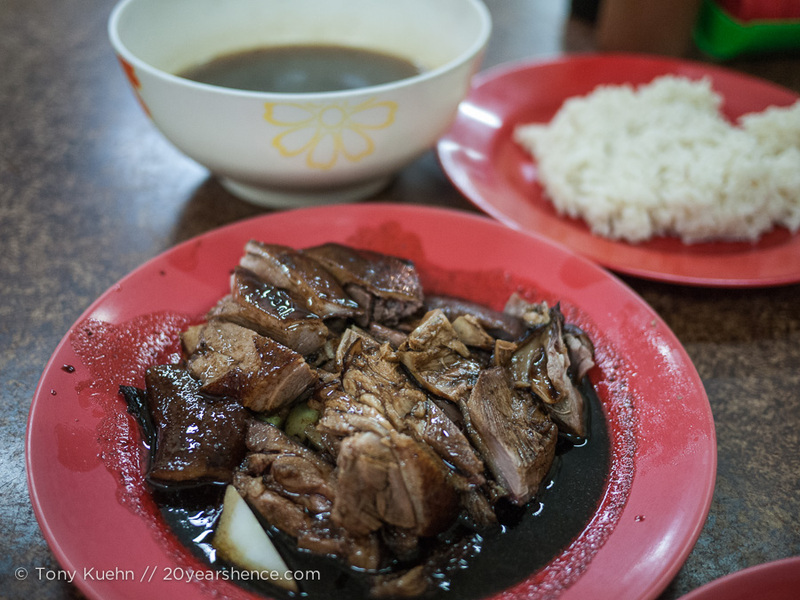 In another hole-in-the-wall establishment, we devour an expertly butchered section of crispy duck. 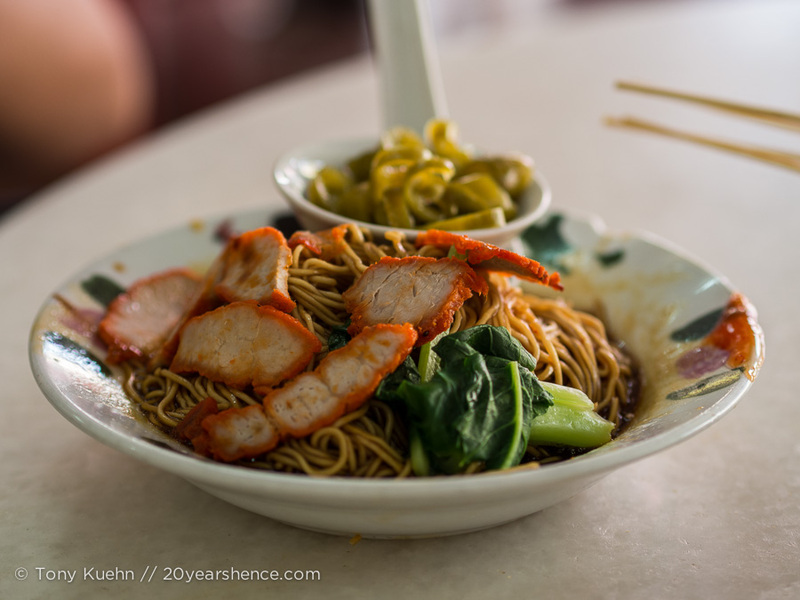 With nothing to compare it to, we don’t know whether our meals are unusually good for Malaysia; all we know is that the eating is really good by any standard and so we do a lot of it. 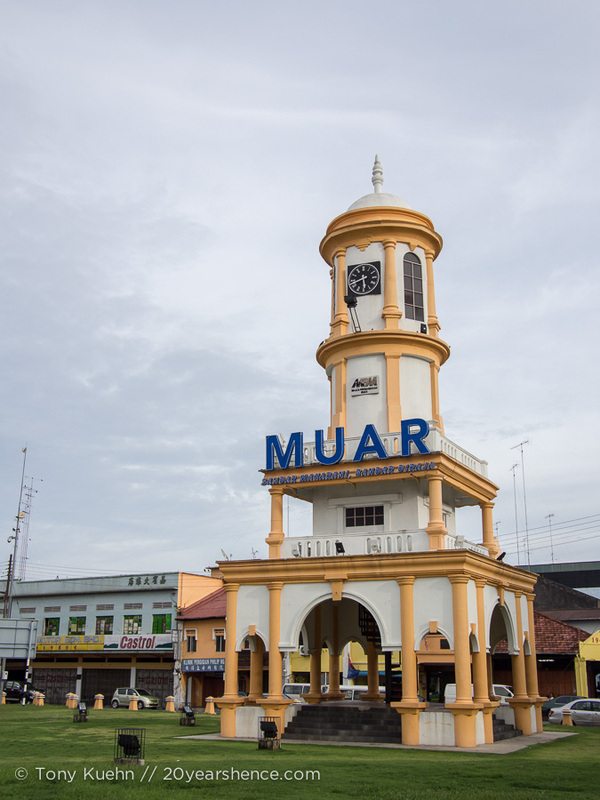 Sure, there isn’t much else to do, but I suppose Muar is the perfect example of a prime “foodcation” destination. 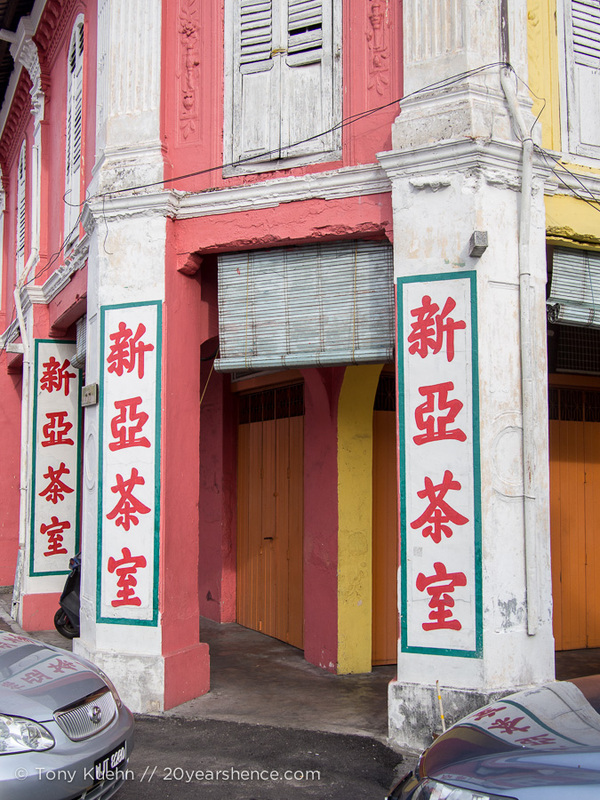 Perhaps the biggest highlight of our time in Muar comes when we visit Yong Sheng Confectionary, a local bakery famous throughout the country for its pastries and sweets. The entirety of their staff is comprised of university students who all about jump out of their skin when we enter, so excited are they to see foreigners. 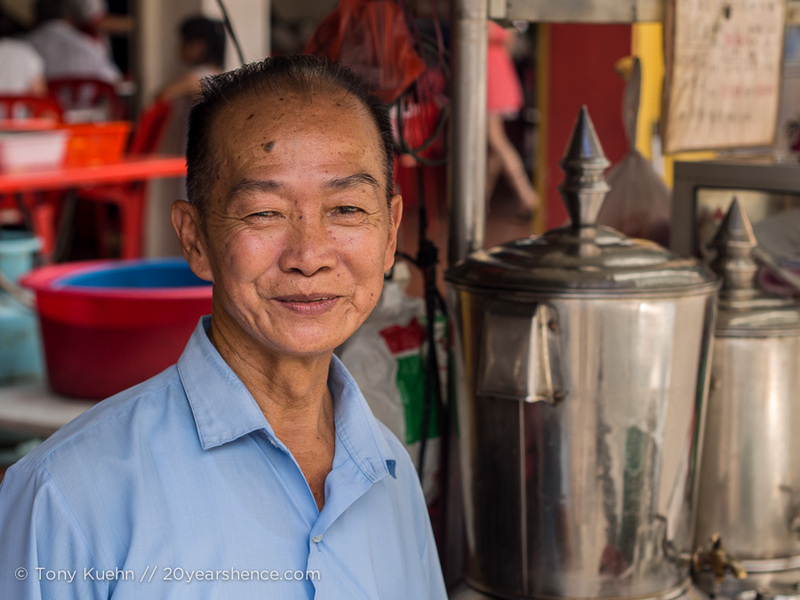 They follow us around the shop, eager to practice their English, inundating us with questions about what we think of Malaysia and why we have come to Muar (when we tell them we had heard it had some of the best food in the country, this earns us big grins). They guide us through the store foisting free samples upon us until we are fit to burst. 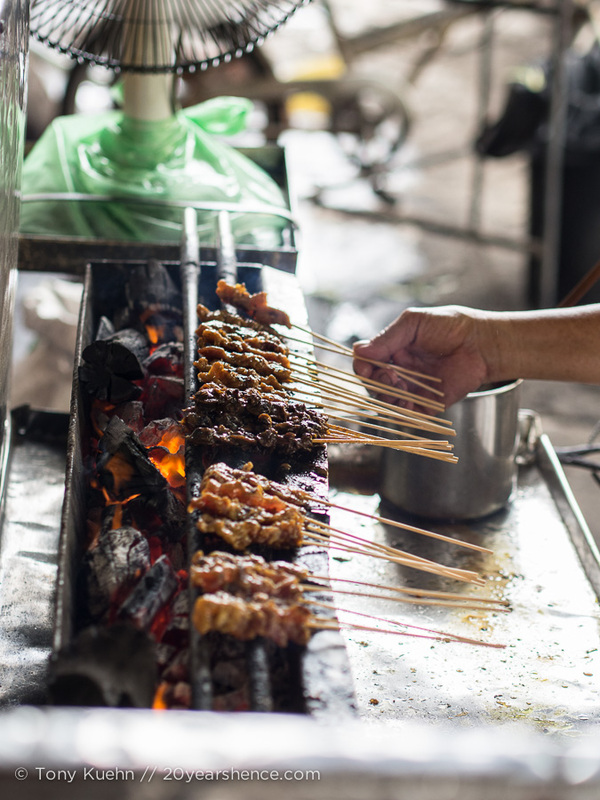 Forget Glutton Street, if you want to eat until you’re almost sick, just head to Yong Sheng where the staff will ply you with sweets until you beg for mercy! 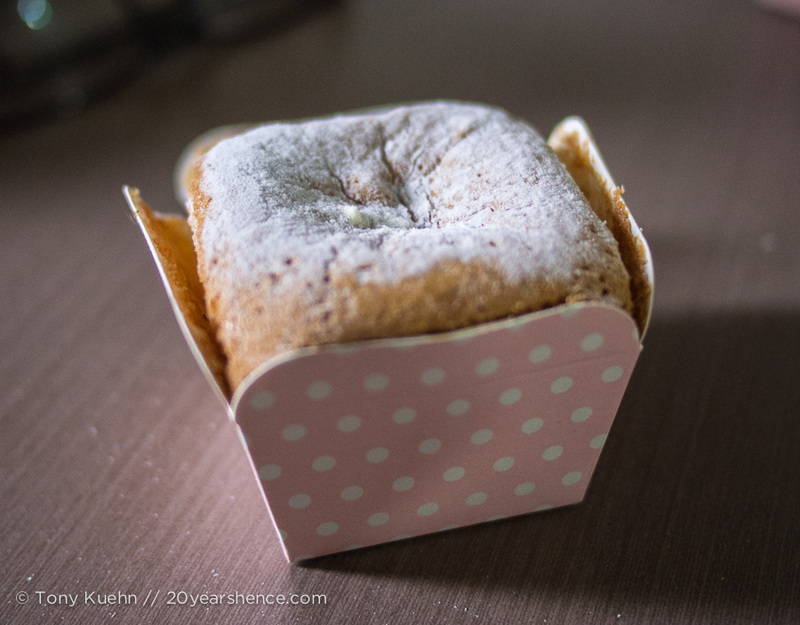 By the time we are done, I doubt whether I will ever eat again, but we still purchase a box of one of the shop’s bestsellers, Hokkaido Milk Cakes, which make an excellent breakfast the next morning. 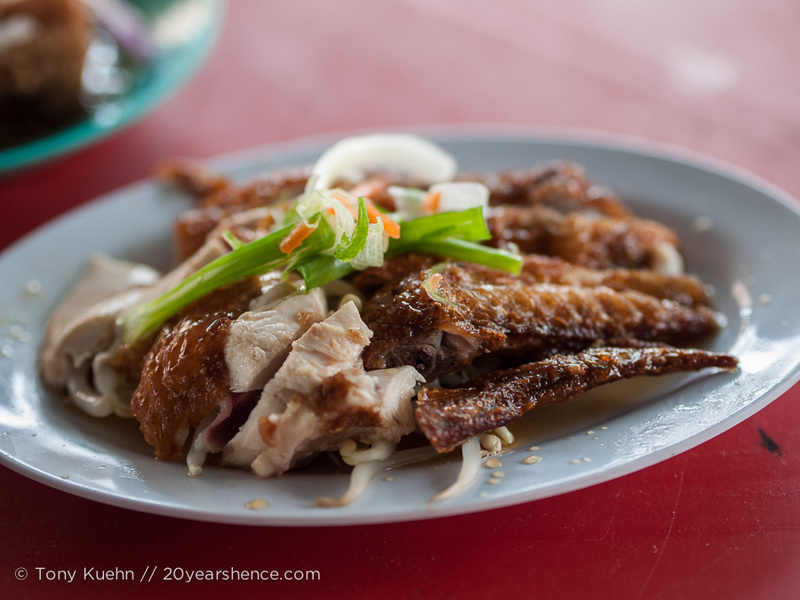 It would be easy to say that the food stole the show in Muar and that it alone made our time there worthwhile, but I would be remiss if I didn’t give a shout-out to the city’s incredibly kind locals as well. 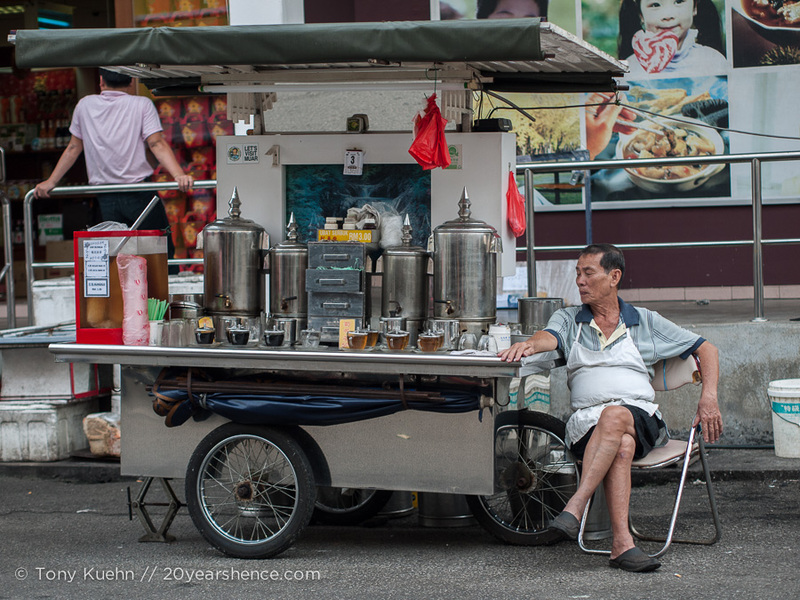 It seems I’ve become fairly sentimental on this trip and have made a habit of gushing about the wonderful people we’ve met on our travels, but I honestly think Asia brings this out in you if you spend enough time here, and Muar’s residents are honestly some of the friendliest people we’ve encountered. There may not be much to their city, but they are intensely proud of their home and were so excited for us to be there. They made us feel so welcome and, although we got more than a few curious and surprised glances from the locals, they were always accompanied by a warm smile as well. 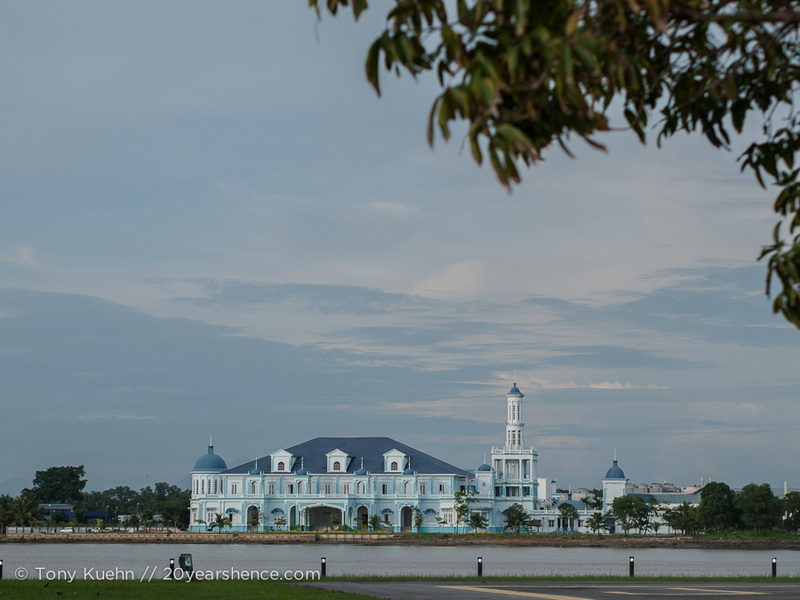 Muar is undoubtedly one of the least exciting places we have ever visited, but the flipside of that is that it was also one of the least touristy places. 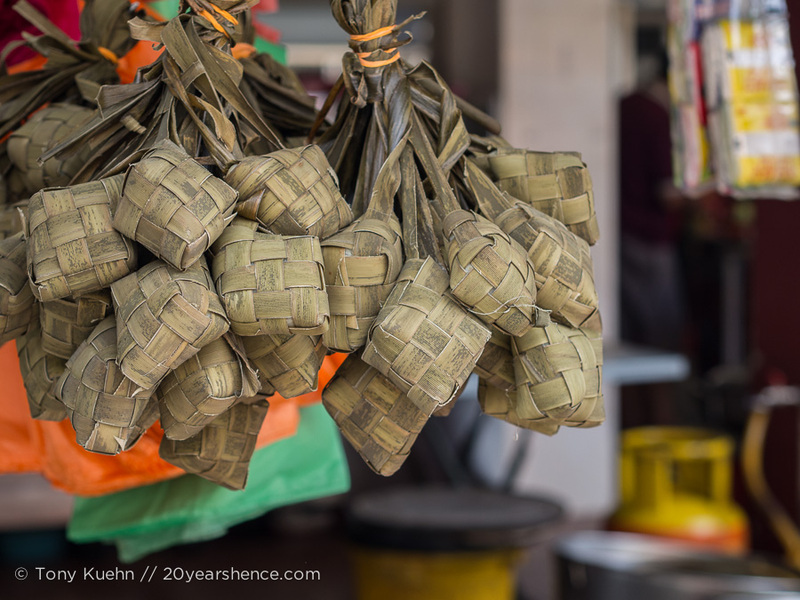 It really allowed us to see a side of what life in Malaysia is like, unvarnished and without being gussied up for an international crowd. It was also one of the gentlest and least demanding introductions you could ask for when embarking on a new country and I suppose there is something to be said for that as well. Tell us: Have you (or would you) ever traveled somewhere just for the food? I have not heard of Muar but OMG that looks good!